Luo was born in 1983 in Guangxi province, China. 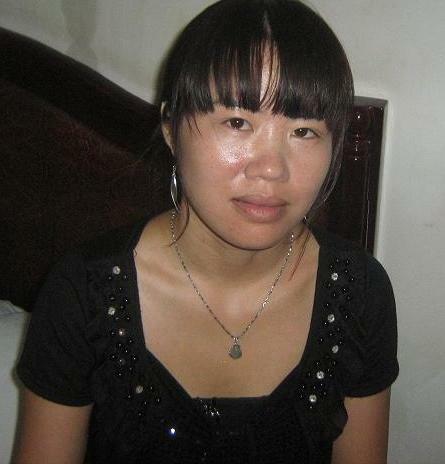 She was married and moved to her husband’s village within Anqing City, Anhui province in 2001. She gave birth to a boy in 2002 and a girl in 2006. The family was poor. Ms. Luo’s husband was unemployed. The burden fell entirely on her shoulders. Ms. Luo was a migrant worker for long periods of time. At midnight, January 30, 2007, while she was home for the Chinese New Year holiday, Ms. Luo was taken by officials including the village leader, Women’s League commissioner and Birth Planning officials into a vehicle. The officials and agents brought her to the county seat for a sterilization operation. The tubal ligation procedure was hurriedly done under the name of another woman of the village. The officials deceived Ms. Luo that if the operation was done in other people’s names, she would not have to pay the expenses. As a result, Ms. Luo didn’t even receive her own certificate of sterilization. A woman in Ms. Luo’s village, Fang, had two daughters at the time. In order to have a son, Fang conspired with the village mayor to avoid the required sterilization. The mayor contacted Ms. Luo’s mother in law to propose using Ms. Luo as a substitute to meet the quota. If the family agreed, Fang was willing to foot the 2000 Yuan medical bill as an incentive. In truth, tubal ligations ordered by the Birth Planning Policy were paid for by the government. The suggestion of the mayor was a scam. The village authorities collected these fees solely for their own benefits. The mayor received money from Fang’s family for arranging the substitution, the precise amount of which was not disclosed by the parties. Fang finally had a son in 2010. She had a sterilization operation. But it was not known whether the sterilization certificate carried Ms. Luo’s name. In the five years since the hurried midnight tubal ligation, Ms. Luo developed serious side effects. She had been in constant pain in the operated area. Her mother in law tried to visit the mayor many times. But the mayor claimed that hospital mistakes were not the jurisdiction of the village government. Because Ms. Luo did not receive the requisite sterilization certificate, she could not receive any welfare mandated by the Birth Planning Policy. She could not even receive a checkup on post-operation side effects. Ms. Luo’s husband was a member of an ethnic minority (Zhuang), which by law enjoyed more lenient Birth Planning Policy. However, Ms. Luo could not receive any such benefits but unfair treatment. She had suffered years of pain from post tubal ligation complications. Worse, she could not prove the complications were results of the operation as the certificate was in another person’s name. 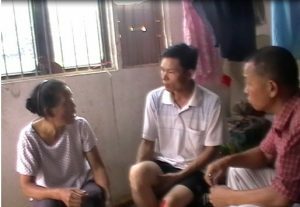 I interviewed Ms. Luo, her husband and mother-in-law. The family was extremely poor. The only electronics were a fan and an old television. Hopefully it will be possible to provide her an OBGYN checkup and negotiate with the village Population Control Committee for the expenses of the medical treatment and a certificate of sterilization. If the village government refuses, then it would be necessary to find attorneys and enter the legal process. A frightening forced abortion and homicideZhang Ronghua and Her Fetus were Killed by The Birth Certificate.